Today, the City of Nanaimo received a court ruling from the British Columbia Supreme Court ruling against and quashing the 911 Call Answer Levy (CAL) bylaw that the City of Nanaimo passed in September of 2010. The CAL bylaw sought to obtain the participation of Wireless Services Providers (WSPs) often called Cellular Providers, to assist with the funding of 9-1-1 services by ensuring a User Pay System. The Cowichan Valley Regional District and Regional District of Nanaimo, who are partners in the 9-1-1 Operating System (CI 9 1 1) also introduced similar bylaws within their jurisdictions. Their bylaws will also be affected by this decision. The City of Nanaimo is disappointed with this decision as through the introduction of the bylaw, Mayor, Council and staff thought that it would provide the municipality with the power to levy this fee for service under powers granted to it in the Community Charter. The City believes that where possible the users of a service should pay the cost of the service and not be a cost borne by the taxpayer. 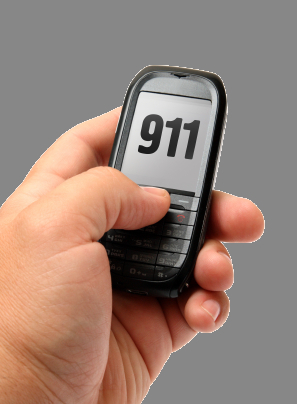 On average CI 9-1-1 receives 53,000 calls annually of which 53% of these are from wireless (cell) phones. Approximately one-third (half a million dollars) of CI 9-1-1 operating costs are covered by a call answer levy on landlines. The remaining funding (approximately $1 million) for the CI 9-1-1 system is from property taxation. Under existing CRTC regulations, unlike that of Landline providers, Wireless Service Providers (WSP)s are not required to participate or provide funding to 911 service providers and thereby are accessing these services for free although they do collect a 911 fee from many of their customers. Staff is reviewing the decision and will be consulting with the City Solicitor.